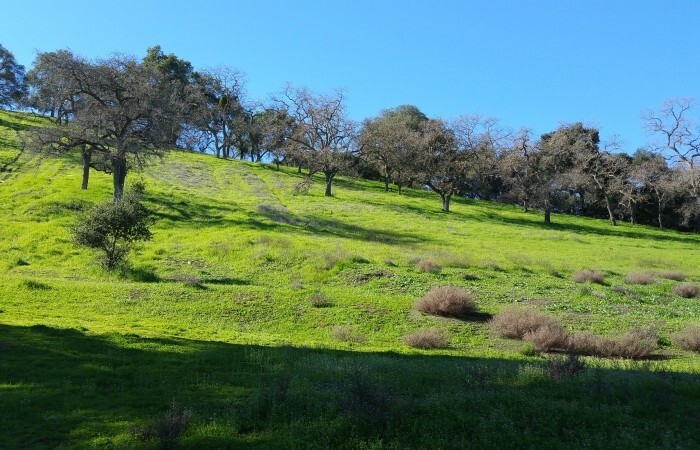 It’s an unusually sunny, warm winter day here – projected highs are in the low to mid 70s! 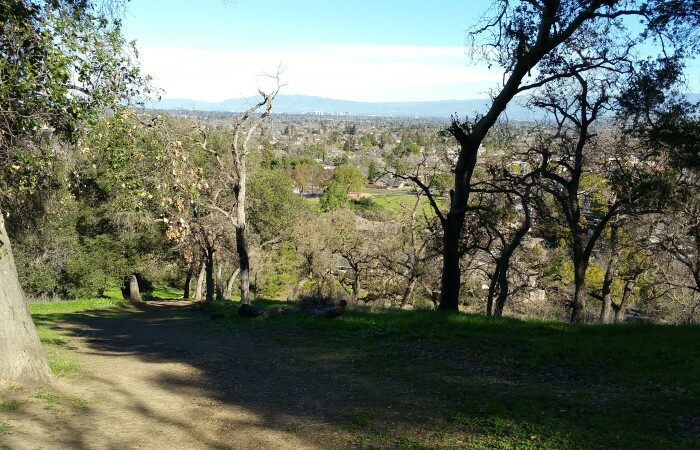 This morning my daughter and I walked through some of Belgatos Park, taking in the views from the Ridge Trail. 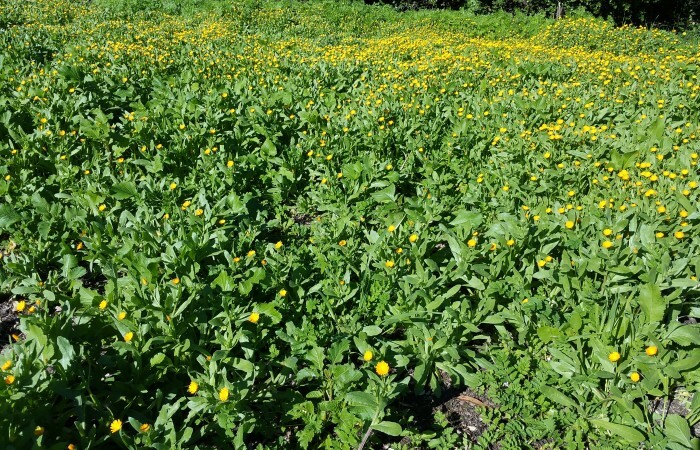 Here are the images – pretty as they are, they don’t do it justice! 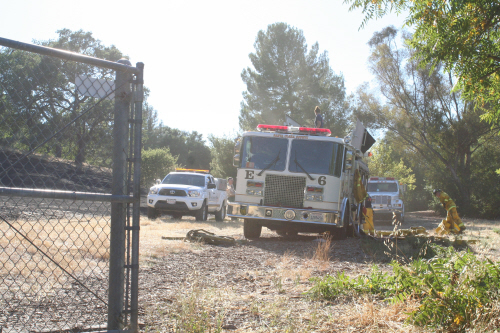 A fire was set, apparently by three kids, in Belgatos Park this afternoon. (Whether by accident or on purpose remains to be known.) Homes were evacuated along Santa Rosa and flames got terribly close to houses on Westhill Drive, but fortunately no residences were harmed by the blaze. Fire fighters arrived by land and air very quickly, and within an hour, the fire was under control. 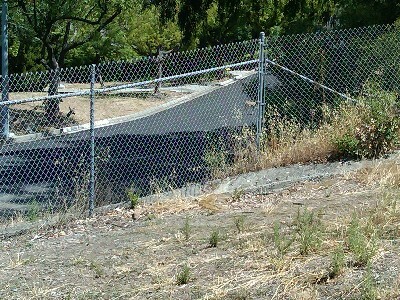 At the time of its eruption, I was in central San Jose at a listing presentation. When I got out, around 4:30pm, I checked messages and had a text from my friend and wonderful pet-sitter, Trish McCauley, who alerted me to the situation. She also took a couple of photos. At left is one she took from Bacigalupi Drive at the intersection with Belwood Gateway. 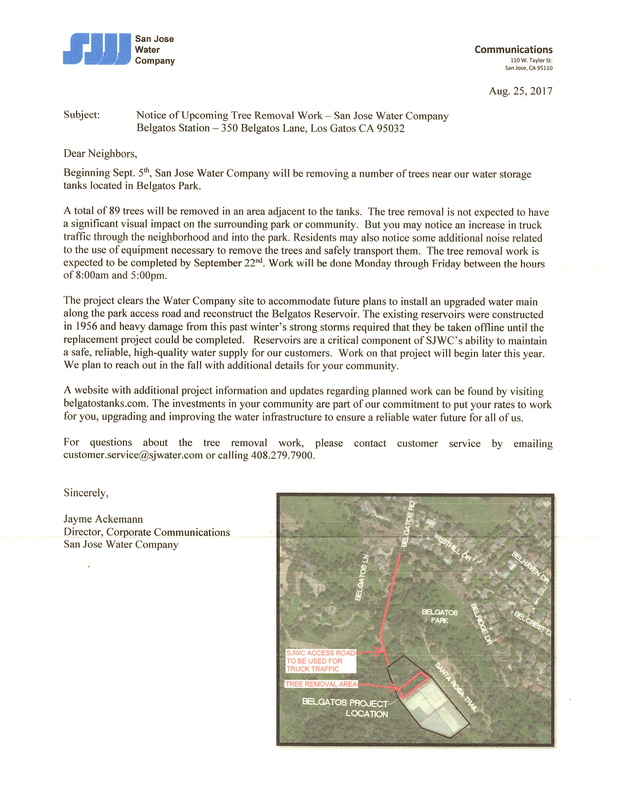 Mention was also made on the Nextdoor site for the neighborhood too by Kate Carr – many thanks for spreading the word! (If you haven’t joined, please do!) 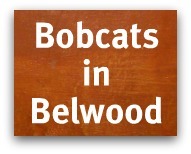 Http://www.belwood-belgatos.nextdoor.com. 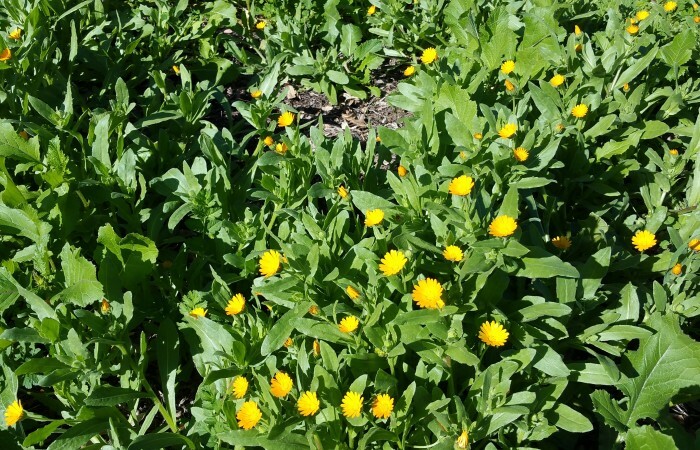 Back to our household – Jim was out at an appointment at the same time that I was, too, but when we converged at home, he and our daughter, Clair, walked up to the park to see what, if anything, was still going on. 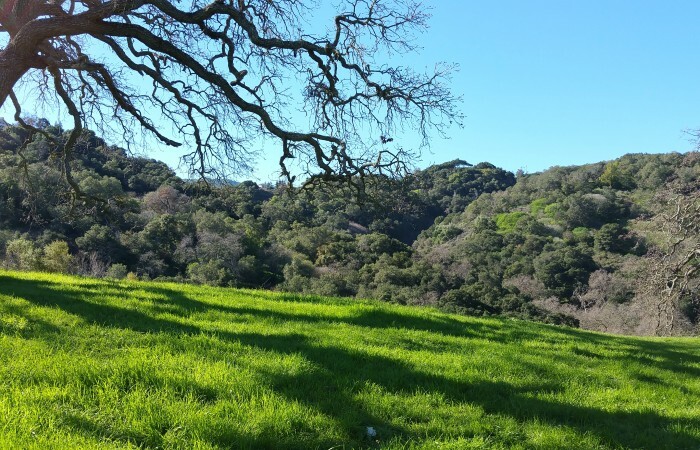 He spoke with Ranger Dave Gray, who said that 3 kids (appx age 10?) 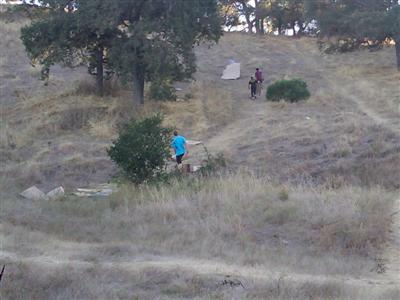 were seen running from the area when the fire started. Jim also chatted with a neighbor, who said she saw the kids running away and explained that they were “young teenagers”. Clair, meanwhile, kindly took a lot of photos for me so that I could share them with anyone else who wasn’t around when everything happened. Below are the photos she took for this blog. “Cardboard hill” is a blackened mess right now. 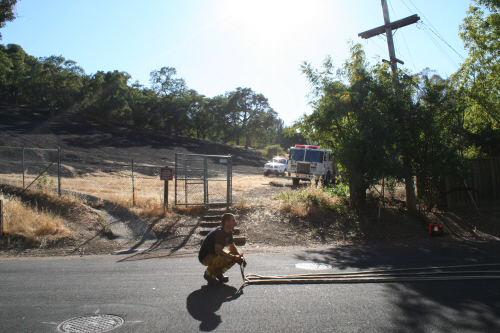 After several hours of work, the firefighters rolled up hoses and prepared to call it a day. 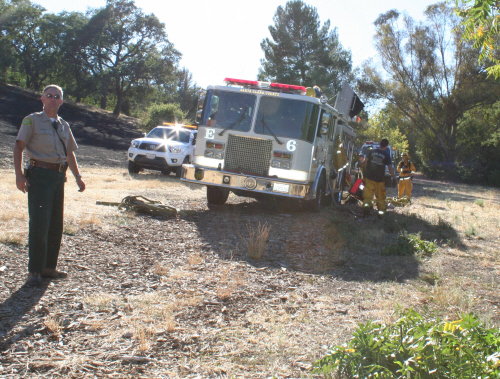 There were multiple fire trucks and other vehicles from the Santa Clara County Fire Department, but also helicopters and planes from the CDF involved today. 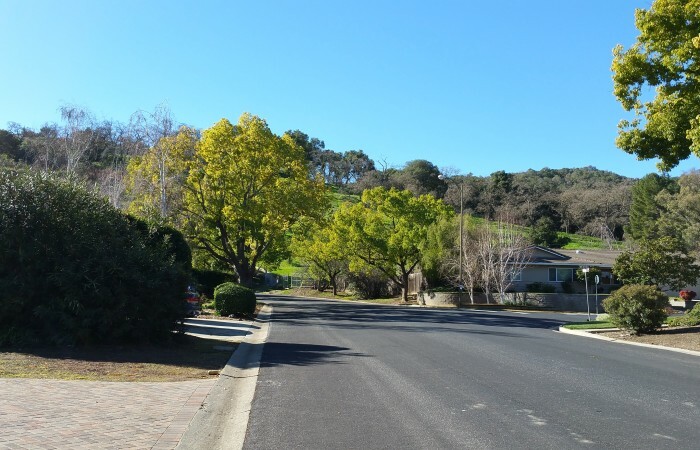 This last week, a neighbor saw a bobcat come out of the gate on Bacigalupi Drive in Belwood of Los Gatos and head uphill along the road, toward the top of Bacigalupi. Nearby, another resident’s house cat was killed, presumably by the same bobcat. 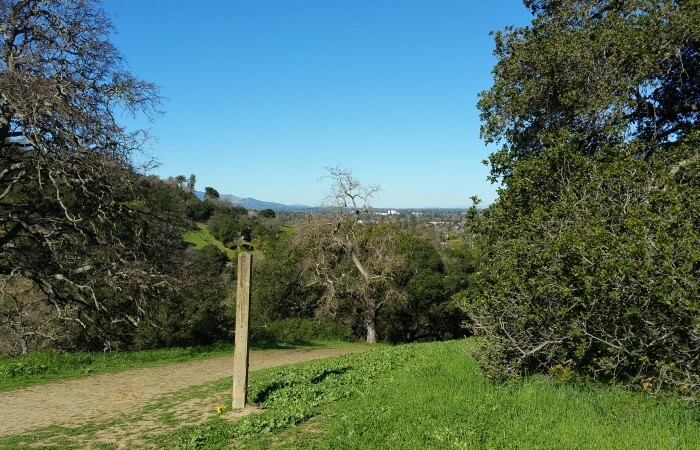 Please be aware, especially if you are close to Belgatos Park or any big expanses of open space that wildlife may harm you, your children and your pets and take the necessary precautions. 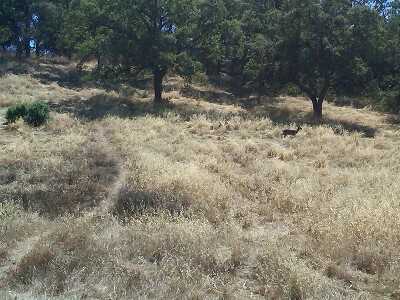 In addition to bobcats, we also have racoons, possum, and more significantly, mountain lions and coyotes. 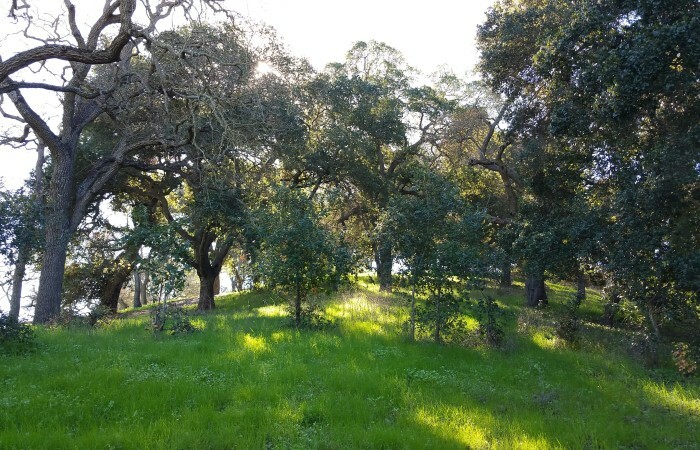 See homes for sale in the Belwood, Belgatos and Surmont neighborhoods here, or call/email me for updated info as I sometimes also know about houses coming on the market soon. 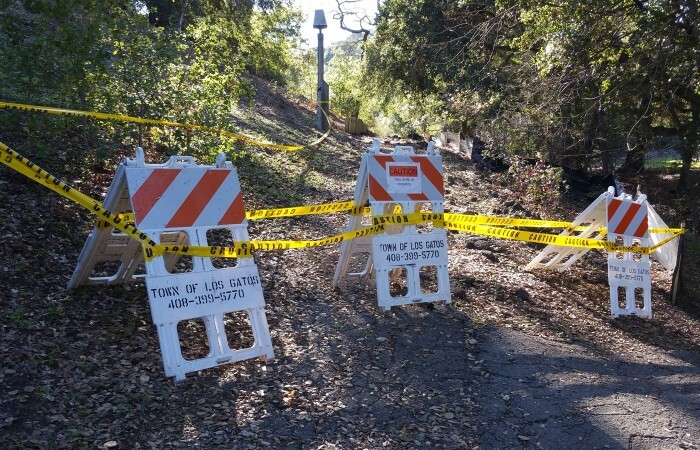 When trees are pruned, fall or are removed at Belgatos Park in Los Gatos, what happens to them? 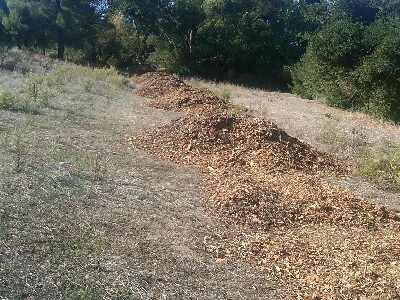 Many, if not all, are recycled on the spot and become wood mulch for use back in the same park. 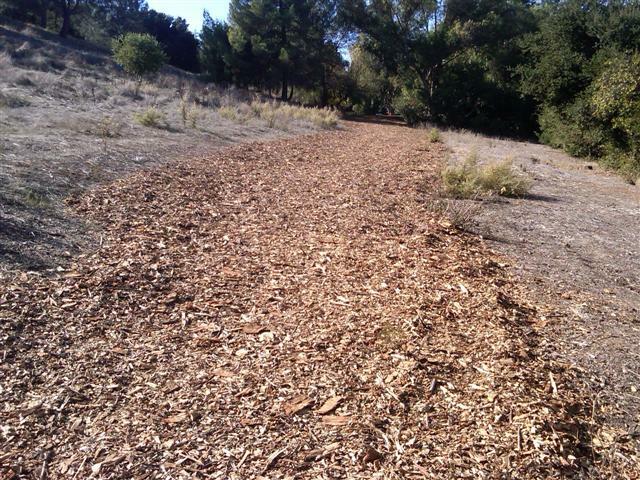 The path between the side gate on Bacigalupi Drive and the parking lot at Belgatos Park is the occasional recipient of tanbark or mulch. This makes walking the area after a rain a whole lot safer (less slippery) and pleasant (since heavy mud doesn’t stick to feet – or paws). Saw this the other day and chuckled to see part of a yellow plastic tape included with the mulch (probably used to advise people to keep away from an unstable tree). Also noticed that a small hole had been burrowed into one pile already – I imagine that for the time being, the mound makes an ideal home for a field mouse or two. 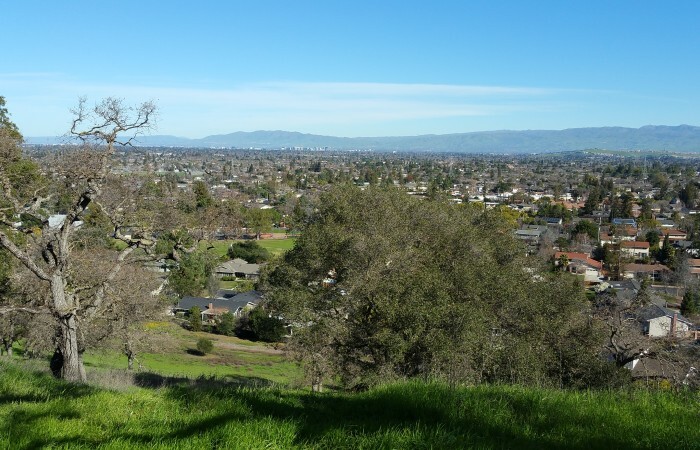 Los Gatos is a “Tree City USA” town. Isn’t it nice to know that even when a tree dies or has to be removed, it’s still useful and immediately recycled into the same park? 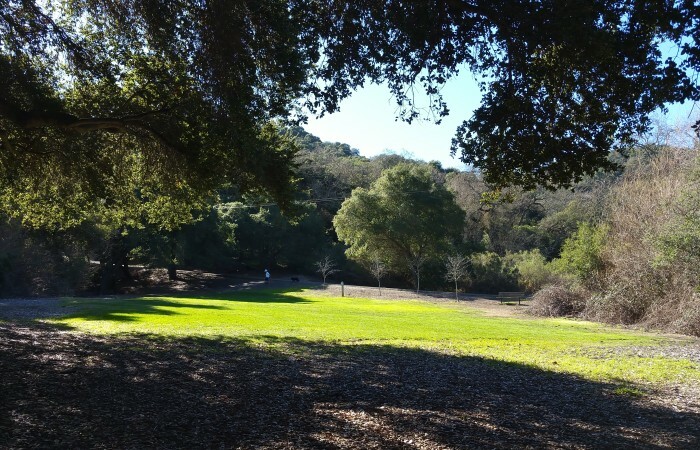 Yesterday Jim and I attended the Los Gatos Creekside Sports Park kickoff celebration (will nearly touch Vasona Lake County Park and is just off of University Avenue) and as we often do, drove east on Blossom Hill Road to get home. 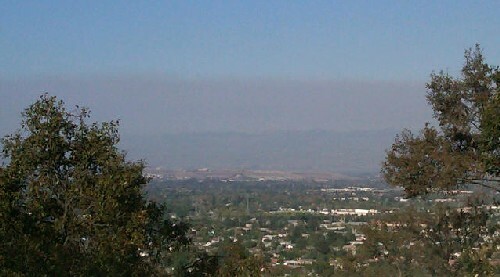 Straight ahead of us, hanging over south San Jose and Santa Teresa and extending north, was a huge and darkened cloud. Smoke? Smog? Rainclouds? We drove up Harwood Road and to the top of Harwood Court to get a better view of it. 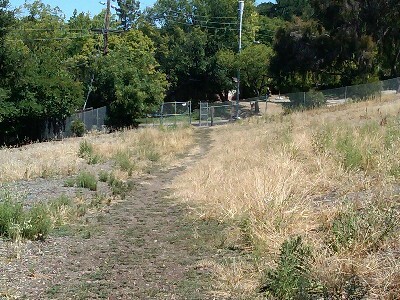 It did look like it started in south San Jose or further south than that. 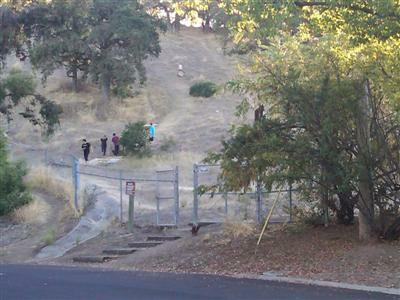 Some hikers were trekking up the challenging hill and we asked them if they knew if it were a fire. “Can’t smell it,” one replied “so it must be smog – just awful!” Smog, though, tends to dissipate from side to side and not hang together so tightly as what we saw. We flipped on KLIV, the San Jose based AM radio station (channel 1590) that best covers local news & traffic, and learned right away that it was a controlled burn. This morning I googled the fire and learned that it’s a 2 day burn at part of Henry Coe State Park, overseen by Cal Fire, with more scheduled for today. 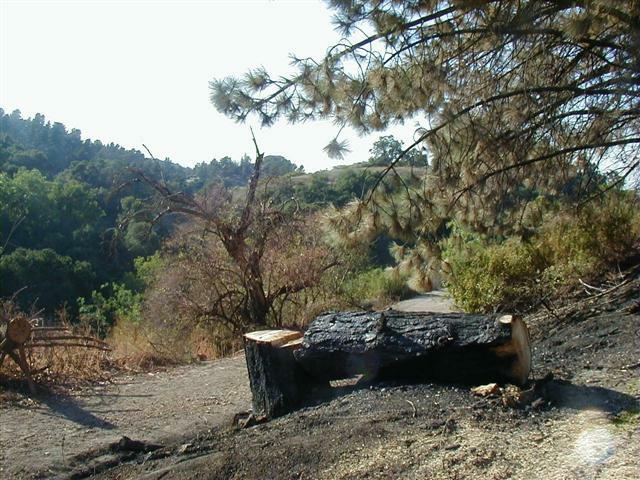 On Friday, September 9th, in the late morning a brush fire ignited at the Heintz Open Space Preserve in east Los Gatos (close to Belgatos Park, the Heritage Grove neighborhood and Surmont area). Jim and I were at home, working at our computers that morning, and our first hint of the problem was the repeated flyovers by low flying airplanes and seemingly omnipresent helicopter nearby. It seemed like another “fire drill” of sorts – except that this time there were several planes plus the helicopter. Turns out it was a very small fire not so far out of reach from the fire hydrant at the Heritage Grove neighborhood where the trailhead is…just a couple of sitchbacks up the trail. 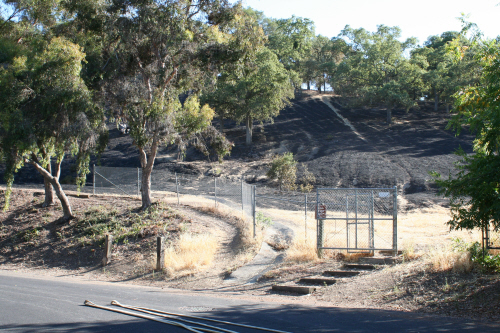 Jim hiked up there yesterday and took some photos of the burned trail area, which we hope you’ll enjoy. 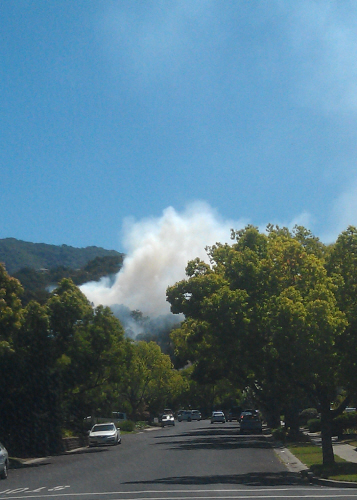 Here’s a photo of the fire at the switchback. No lightening when this broke out. What caused it – a cigarette? 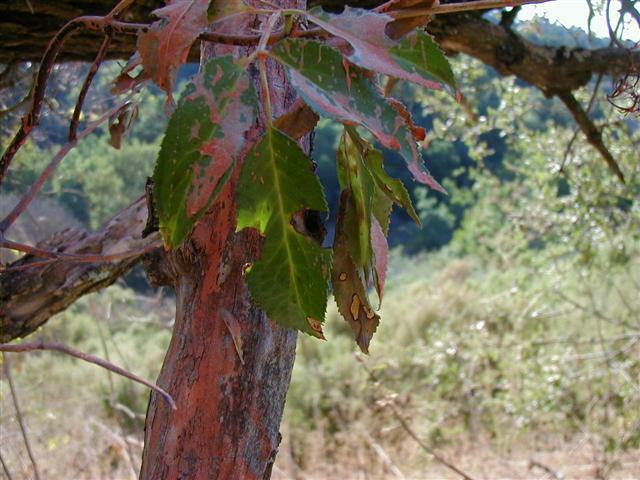 Finally, here’s what the fire retardant looks like after the fact – orange goo all over the plants and trees which didn’t burn. So the next time we all gripe about the planes flying over Belwood, let’s be grateful that they practice and that the little fires don’t turn into big ones! 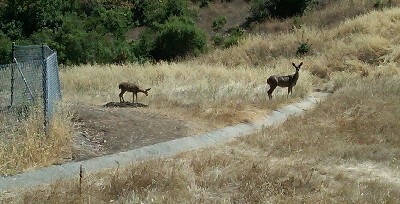 Yesterday we were walking our dog, Bella, to Belgatos Park (as we often do) and spotted some deer. Interestingly, we were inside of the park, and they were outside of it! Below please see some images from those few minutes when they high-tailed it back into the park. The deer watched us carefully as we approached but eventually decided they needed to head back to the park. 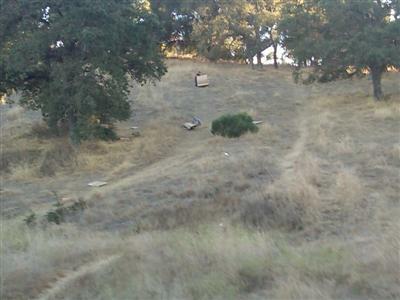 In the photo below, you may be able to see one of them on the right side of the road and another deer on the far left by the tree (there were 2 babies but none of the photos show all of them, unfortunately). 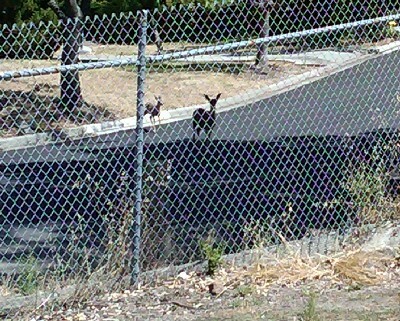 Here’s a clearer image of two of the deer. Back into the park (they went around to the side where the fencing ends to get it). 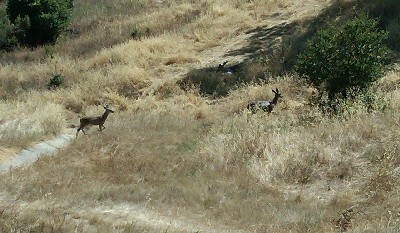 A clear shot of two of the three deer just inside the park again. Heading back into the open space! 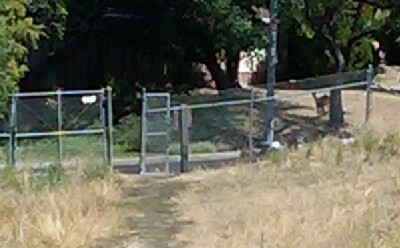 Away from the fence, the street and the houses, this deer looks to be back where it is most comfortable.